Measuring up at just 7-inches high and 1.4-inches, and weighing 2.2 pounds, the mini-me computer can be equipped with a fifth generation Intel Core processor, backed with up to 4GB of RAM and up to 16GB of SSD storage. The machine is targeted at the education and business sector although we expect there’d be no shortage of consumers looking to enjoy the mix of Chrome OS convenience and Lenovo’s reputation for reliability. The Chromebox forms part of a modular system and can be slotted into the back of the ThinkCentre Tiny-in-One monitor (see below). 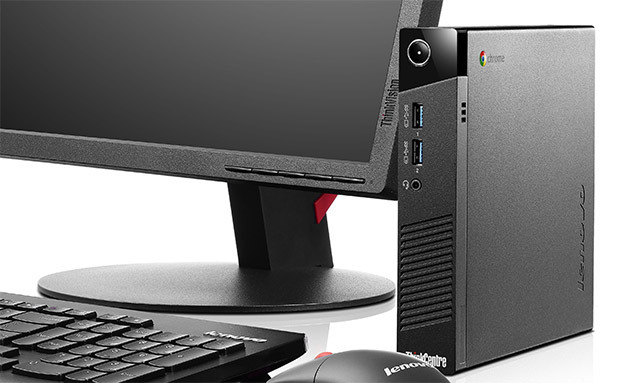 The ThinkCentre Chromebox Tiny will be available in June starting at $199. 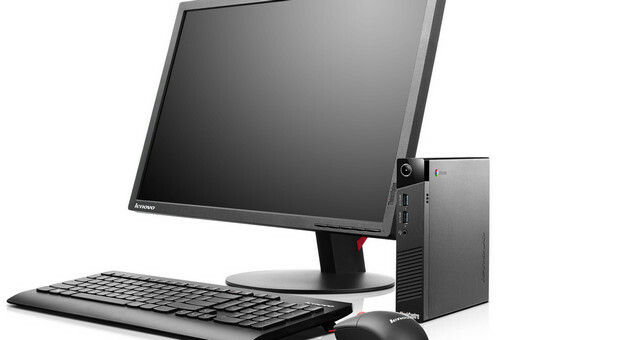 ThinkCentre Tiny-in-One is available at $279.